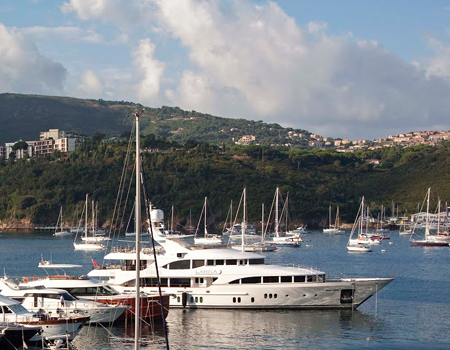 SACOMAR Agency, founded in 1996, is specialized in yachting industry and as registered Yacht & Ship Agents, can offer all kinds of services and facilities such as assistance to Mega Yacht captains and their guests during their vacation in Portoferraio harbour and in the waters of the island of Elba. Because of the significant increase of yachting over the last years, SACOMAR has had the privilege to serve the most important Mega Yachts operating in the Mediterranean during their cruises. The relation with this type of yachts requires a high grade of professionalism, efficiency and discretion. The owners of the Agency take care personally of the relations with captains and/or ship-owners during their stay on the island of Elba. They offer services which require a 24 hour presence and availability, both assisting the captain in his ordinary nautical operations and satisfying the various requests coming from the guests of the yachts. 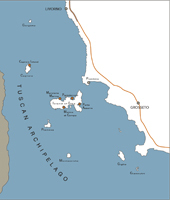 The Arcipelago Toscano National Park is the largest marine park in Europe. It includes the seven main islands of the Archipelago, some minor islands and cliffs. Like real pearls in a necklace, the islands differ from one another. Each though preserves traces of its history, each is unique; their common bond is the beauty of their natural setting. Elba is the largest island of the Archipelago: its sea, its beaches, the green of the countryside, the tiny fortress towns, archaeological treasures, chestnut forests and more have survived over the centuries and continue to flourish. On the island of Elba one gets the feeling of “good goods in small parcels” since one can travel through so may different landscapes and attractions, often in contrast with each other: areas scorched by sun and wind alongside others luxuriant and green with life, sandy and pebbled beaches, rocky coastlines and sheer cliffs. The touristic harbour of Portoferraio allows the mooring of ships up to 80 m. of length (even alongside). If the weather allows it is even possible to moore forwards units up to 90 meters. For larger units are available the quays of the commercial harbour, just beside the touristic harbour normally reserved for cruise ships with a length up to 200 meters and a draft of 8 meters. The quays are equipped with supply of electricity and water, assistance during mooring. In the access canal situated in the W part of the gulf and shown on nautical maps, vessels leaving the port must keep lo the left. 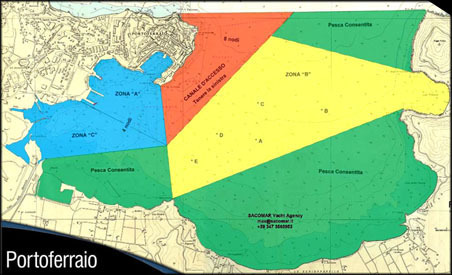 Prohibition of anchorage must be observed in the port area (W of the adjoining "Martello" Tower - The "Grotte" Point) anchorage is prohibited everywhere except in an area to the S.
The area of sea between the Stella Fort Lighthouse Point - the "Scoglietto" and "Capo Bianco" Point is a biologically protected area. Prohibition of fishing must be observed. The little harbour has a sea-wall 330 metres long which shelters the port from high winds. Marciana Marina is an interesting departure point for the nearby island of Capraia (22 miles away) and for the coast of Capo Corso in Corsica ( 30 miles away). 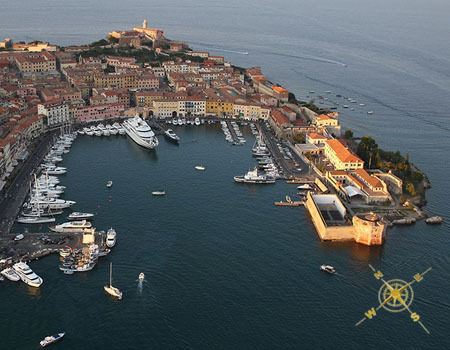 The touristic harbour of Marciana Marina allows the mooring of ships up to 50 m. of length (even alongside). The approach presents no particular difficulty. You recognize Marciana Marina from its long sea-wall with the round shaped yellow-ocre coloured Medicean tower dating from the 16th Century easily visible. The clear-coloured houses of the village with their red-tiled roofs follow along the whole of the southern water-front of the port. Fresh vater and elettricity are available. 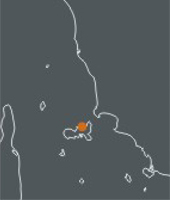 The Porto Azzuro marina is located in Porto Azzurro, a pretty village in the east coast of Elba Island. 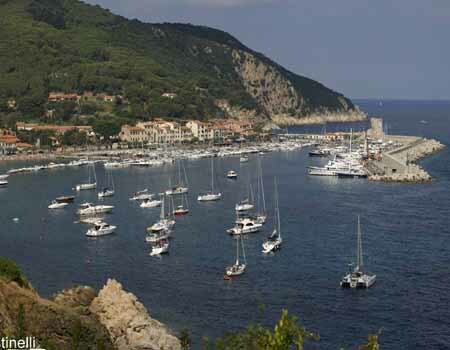 We are glad to inform you that form the beginning of July 2011 a new seperyacht Marina is available in Porto Azzurro. The new Marina allow the mooring of yachts up to 60 meters in lenght with mooring lines. All guests who moor there will have access to very basic services, such as water and electricity. Its users may take advantage of its complete basic range of services. Con la Legge di Stabilit� 2016 (comma 366, articolo 1 della legge n. 208/2015) � stato abrogato il tributo dovuto per il possesso di imbarcazioni e navi da diporto. La tassa di possesso era stata inizialmente introdotta nel 2011 dal governo Monti per tutte le imbarcazioni e navi da diporto per poi essere limitata con DL 69/2013 alle sole imbarcazioni superiori ai 14 metri di lunghezza.